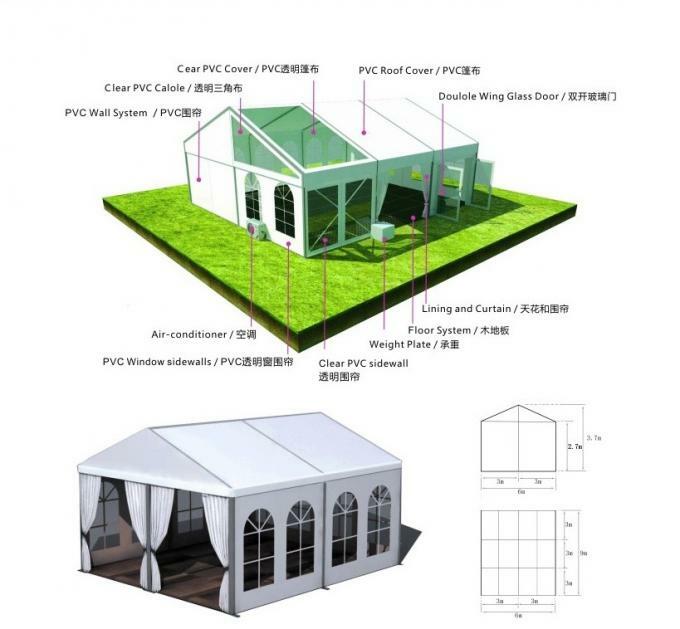 Air Conditioner, Heater, Floor, Drapery, Windows, Curtain, Lighting etc. Curtain : The styles are diverse and colorful, different styles tocreate a completely different style.You can choose best style to decorate your wedding. Door : Glass Door ( Durable, Strong, Luxury ) There are other doors for optional, single swing aluminum frame tempered glass door, metal door, PVC zip door etc. Lighting : The lighting it can increase the atmosphere, if you need. Beautiful Design We provide customize you, your wedding is a wonderful-and complicated-day. So many things to think about, a lot of things to plan. About Size Our tent are from 10m (almost 32ft) to 60m (over 196ft) wide, and unlimited in length. 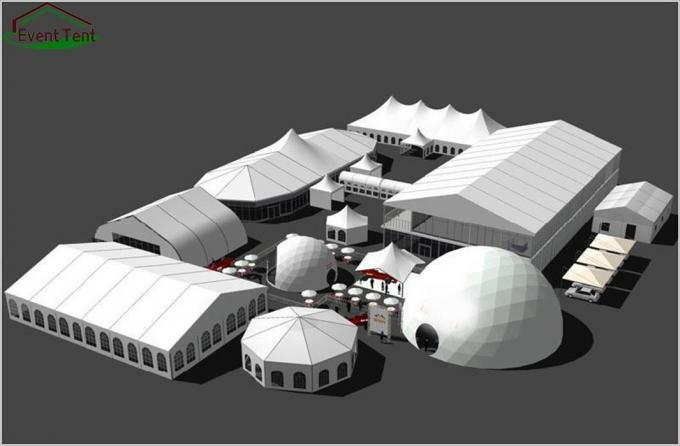 A 20 by 50m pavilion is big enough to comfortably seat over 600 guests, or have enough room for over 200 to enjoy themselves on the dance floor. 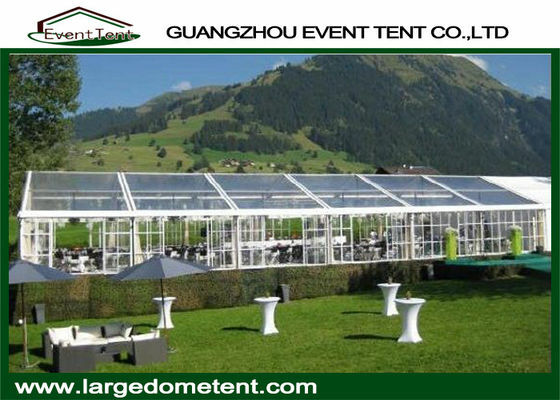 Stretch Tent : Q235 Galvanized Steel Pole Tent.